Today's Image of Mars shows boulders on the floor of Hellas Basin, as taken by Mars Reconnaissance Orbiter's HiRISE camera. Hellas basin is approximately 2300km in diameter and measures 7152m deep. While the source of the basin has not been confirmed, most scientists believe an enormous object must have impacted Mars sometime in it's early history. Since that time there appears to have been some sort of glacial activity in the region, which scientists believe was responsible for depositing the crudely aligned boulders we see below. If you ask me they almost look like larger versions of the blueberries (grey hematite concretions) imaged by Mars Exploration Rover Opportunity, but of course they aren't! 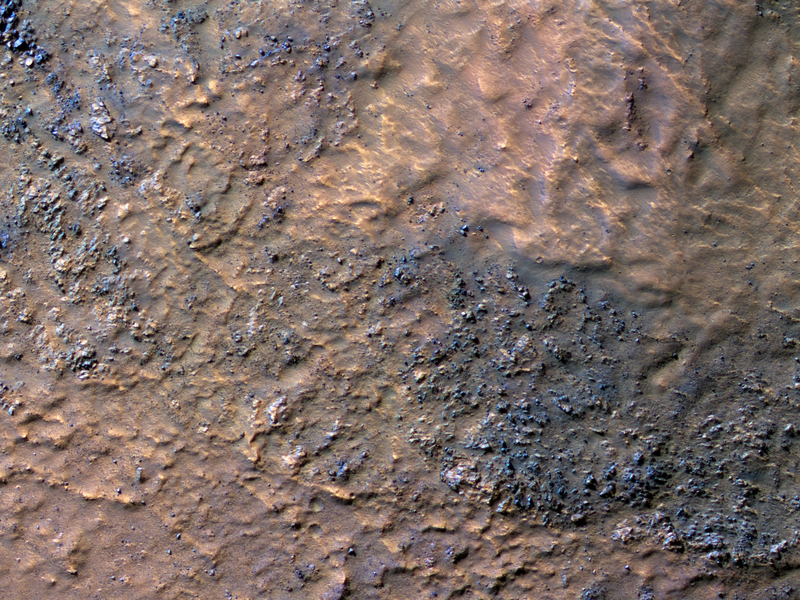 Clicking on this image will take you to the orignial high resolution image from HiRISE!